I’ve been re-watching the New Heaven Sword and Dragon Sabre (HSDS) 1986 these days, and I quite enjoy the re-watch. I actually re-watched it because my new friend Wina reminded me of this series (we’re both suckers for 80s series), hence this post. Thus, this post is for you, my dear Wina, as an early Happy Eid for you. Starring Tony Leung (Zhang Wuji/Cheung Mo Kei/Tio Bu Ki), Kitty Lai (Zhao Min/Chiu Man/Jia Min), and Sheren Tang (Zhou Zhiruo/Chow Chi-yeuk) as the main leads and Simon Yam (Zhang Cuisan) and Dodo Cheng (Yin So-so), among others, as the supporting actors, I feel like transported back to my childhood when I watched this series in my lounge, desperately not being caught by my mum for watching too many wuxia. HSDS didn’t have the lovey-dovey effect on me the way Chor Lau Heung 1984 did (still does), but I do remember many HSDS scenes quite well. HSDS is the third of the Condor Trilogy by Jin Yong (Louis Cha). The Indonesian title I know is “To Liong To”, which basically is the Dragon-Slaying Sabre. Set in the late Yuan Dynasty almost a hundred years after the events of ROCH, the main gist of HSDS is about two weapons, the Heaven Sword and the Dragon Sabre, forged by Guo Jing and Huang Rong after the events of ROCH (Return of Condor Heroes) before the fall of Xiangyang. The clash of the two weapons will produce the Book of Wu Mu from the Sabre and the Jiuyin Manual and Guo Jing’s Eighteen Dragon Subduing Palms from the Sword. The proper use of the Book of Wu Mu would be able to help people expelling the Mongol force, while the Jiuyin Manual would definitely make the learner most powerful fighter in Jianghu. Read the Wiki entry to understand more about HSDS. I haven’t read the novel, but I understand about a [spoiler] tweak at the end of the 2nd edition that wasn’t included in the HSDS 1986 version, so for that, I’m glad. 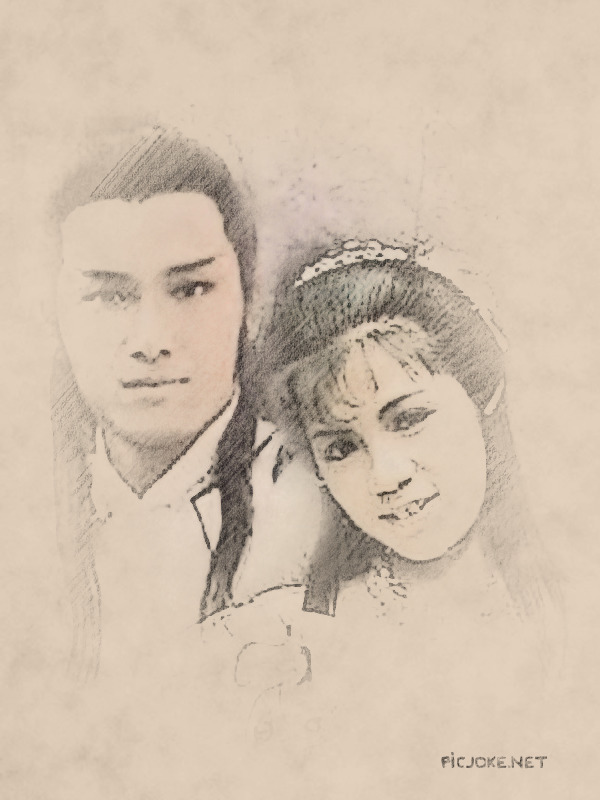 This post is focusing on episodes 1-22, covering how Wuji’s parents met, his teenage time and the events towards him meeting Zhao Min, who was to be his partner/wife/spouse later. Wuji’s parents were Zhang Cuisan/Cheung Tsui-san (Simon Yam) and Yin Susu/Yan So-so (Dodo Cheng). 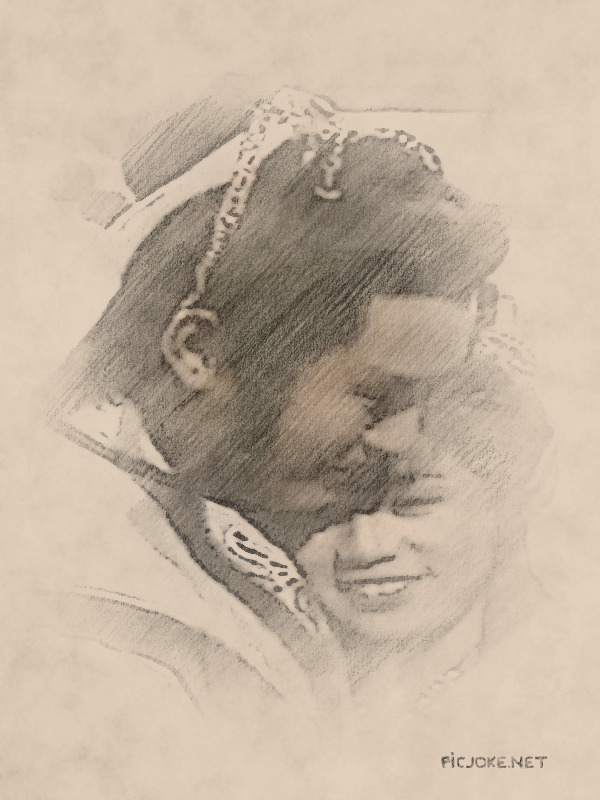 I love this pairing so much; I think Simon and Dodo had a lovely chemistry there. I only saw two of Simon’s 80s series in addition to HSDS: the ROCH 1983 (where he portrayed Yelut Chai the Mongolian prince who sided with the Songs) and Chor Lau Heung 1984 (we know that one! He was the Bat Prince, the foil for Michael Miu’s Chor Lau Heung). 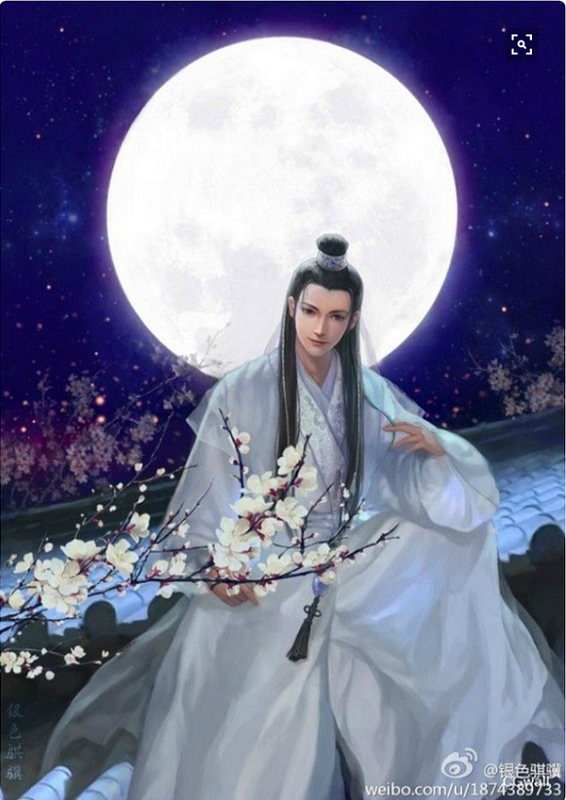 Simon’s acting progressed overtime, I prefer his Bat Prince than his Yelut Chai, and I certainly think that his portrayal of Zhang Cuisan surpassed his Bat Prince portrayal. I actually think his Bat Prince was good; just one moment when he realised that he wasn’t the Emperor’s son that I thought didn’t go well. But his Bat Prince was certainly much better than the one dimensional Yelut Chai (noble characters is good, but something about him not having any conflicts being a Song-siding Mongol that I find a bit lacking). As Zhang Cuisan, the fifth warrior of the Seven Heroes of Wudang, Simon shone. I saw shines and love in his eyes as he talked to Dodo’s Yin Susu; I saw betrayal in his eyes as he learned that his wife accidentally caused third Brother’s decades of injury. 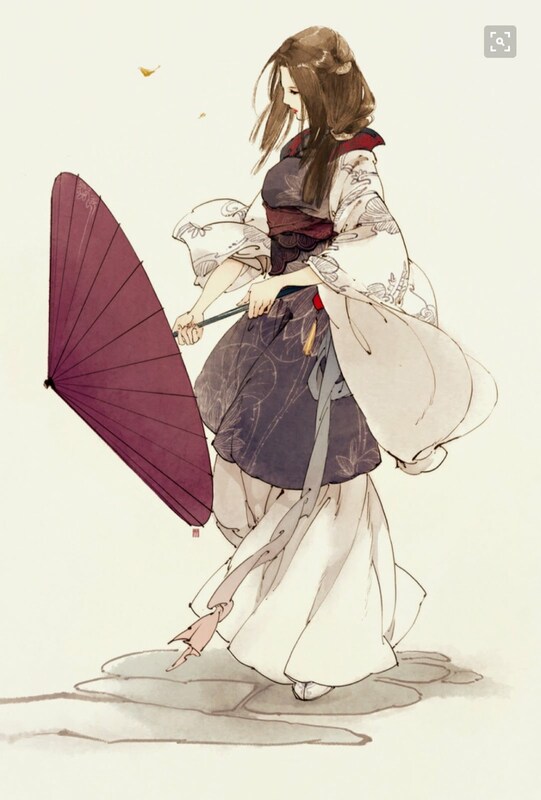 I love Dodo Cheng very much in this series; she was a badass warrior, a caring mother and a flirtatious yet loyal wife. I cried when Simon’s and Dodo’s characters died. However, I do agree with Ryan's assessment of Cuisan's rigid personality; he could have avoided the mess Wuji would experience had he considered everything carefully, and not rushing into suicide. Tony Leung didn’t appear until an episode after his parents’ passing. When Wuji was a child, he was hit by a Mongolian fighter, such that he always had cold fever. After he was grown up, Wuji found the long-lost Jiuyang Manual (Nine Yang Manual, inside the stomach of an ape, no less! ), thus he became very powerful. 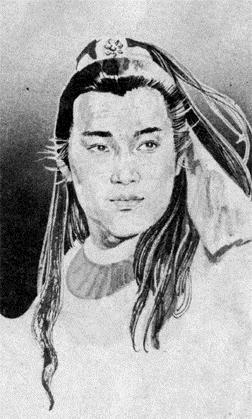 Throughout the series, Wuji progressed from being an often-bullied yet strong-willed child into the finest leader of the Ming Cult, helping overthrowing the Mongol Empire in the process. He also cast his charms (“tebar pesona” in Indonesian) to women and thus gathered an army of women who always went gaga over him. Almost like Chor Lau Heung. I like Tony Leung, always had liked him when I first saw him in 1987ish. Tony portrayed the innocent teenage Wuji excellently and progressed the character organically into the Ming Cult leader. 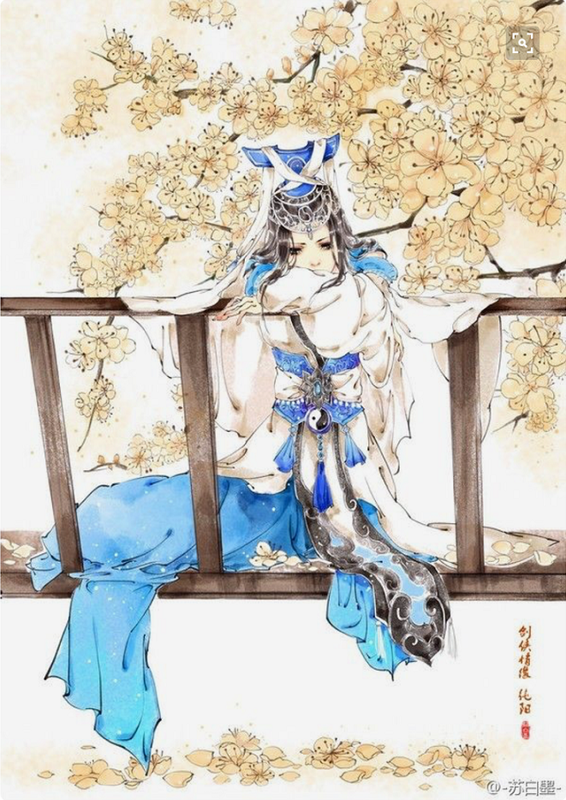 However, I find his character Zhang Wuji not really to my taste for his flickering attitude to women. 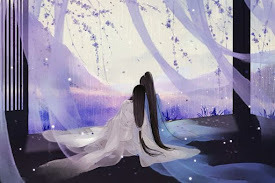 Wuji was surrounded by at least four women (Mongolian Prince Zhao Min, Emei student and leader Zhou Zhiruo, Yin Li the Spider-Girl and the Persian Ming Xiao Zhao), and not until the later part of the series he realised he actually loved Zhao Min. Of course, you can say that Chor Lau Heung was like that too, and that youngsters are allowed to be uncertain of love. 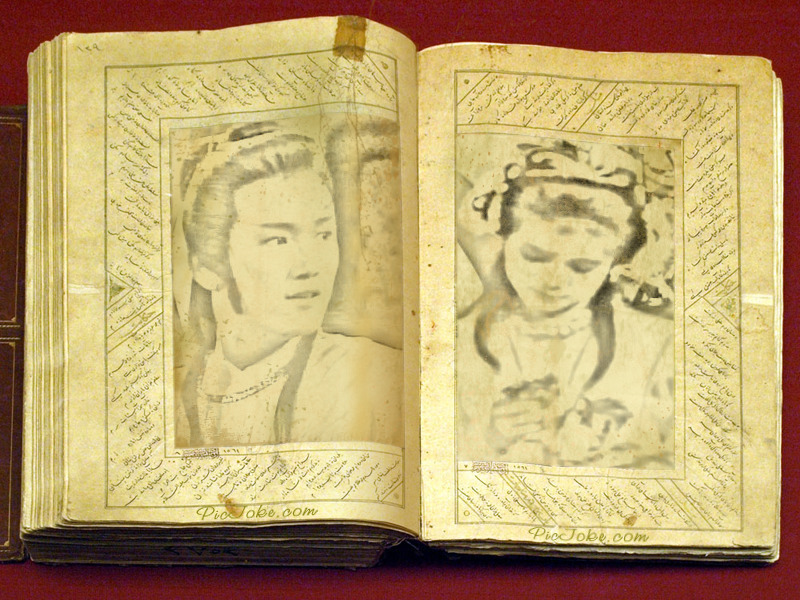 Perhaps you’re right; CLH in Gu Long’s novels were even “worse” than Zhang Wuji in his propensity to women. CLH did like flirting, while Wuji just didn’t realise how inconsistent he could be. But at least Michael’s CLH in the 1984 version knew from early on that he liked Barbara’s Song Siu Ching, and ever since he consciously stopped flirting with other women, tho he couldn’t help to still be friendly with his adopted sisters and other girls like Wah Jan Jan.
Anyhoooo... moving on. So, up to where I watched it, Wuji had met Zhou Zhiruo (Sheren Tang) when they were kids. Zhiruo nursed him when he had a “frozen” episode, thus he always remembered her. Then he met Yin Li the Spider-Girl (who was actually his cousin), and promised to marry her at one point. 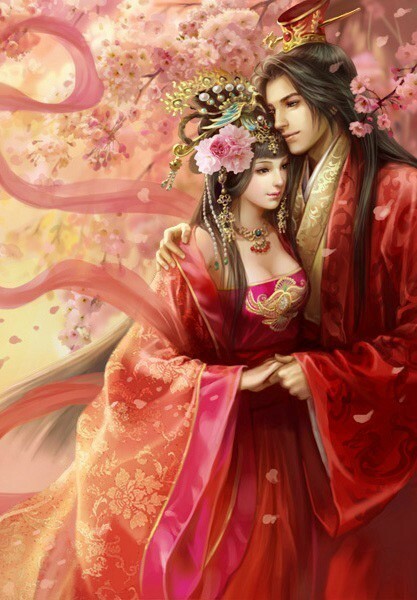 He then rescued Xiao Zhao from the bitter treatment of Yang Buhui (that was a girl Wuji rescued when she was a kid, but thank God she didn’t fall in love with him). He only met Zhao Min (Tio Beng, Hokkien) at the end of Episode 22, thus I won’t cover Zhao Min extensively here. 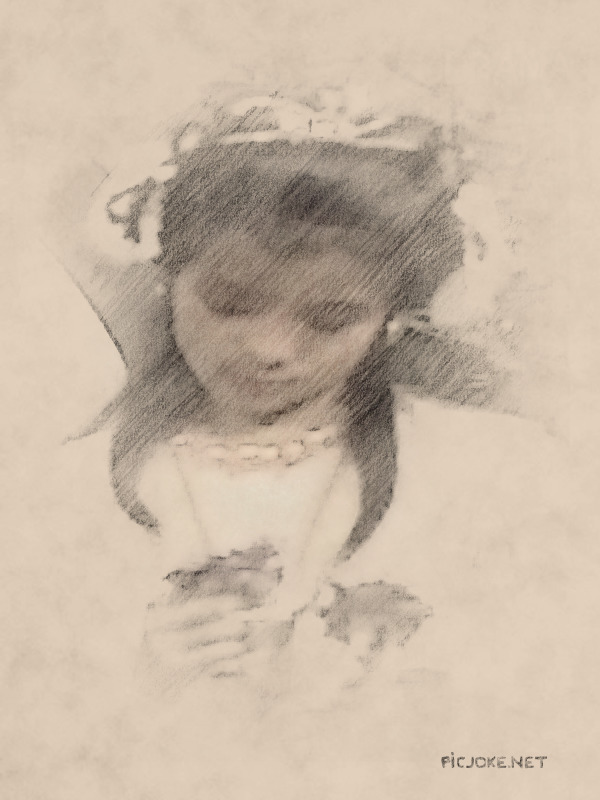 I can say though that I loved Kitty Lai’s performance when I watched this series as a child, and now after I sailed through Eps 23-24, I can say that I still love her as Zhao Min. 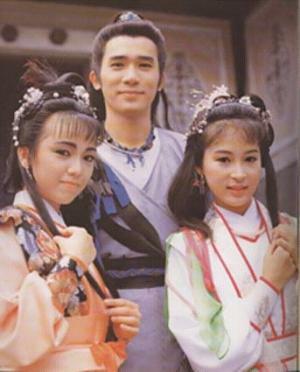 Wuji and his women aside, HSDS had a cool ensemble of cast. The Wudang Master Zhang Sanfeng was really cool. One of the first episodes of HSDS 86 actually narrated how Zhang Sanfeng became the Wudang Master from just a low servant of Shaolin Temple. We also had Heroine Guo Xiang (yes, the daughter of Guo Jing and Huang Rong) appearing, defending Sanfeng and his Shaolin master from being bullied by other Shaolin monks. 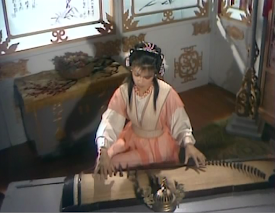 In this series, Guo Xiang was played by Margie Tsang (Miao Ruolan/Miu Yuek Lan, Flying Fox of Snowy Mountain 1985). I like the Guo Xiang here much better than the ROCH 1983 Guo Xiang. Something about her badassery that resonates well with me, unlike the 1983 version. Anyway, because of this meeting, Sanfeng and Guo Xiang eventually became friends (sadly, not lovers), thus their established Wudang Sect and Emei Sect remained friends or at least having collegial terms. The late Mr Bau Fong portrayed Zhang Sanfeng (Cheung Sam-fung) in this series. I love this character so much, I want to make an MV of just him doing all his tai-chi stuff. He looked like the wise grandfather one always wants to have around. The wise Shaolin Master was played by Mr Cheung Ying-choi (Master Ma Yu of the Quanzhen Sect for LOCH 1983 and the Emperor in Chor Lau Heung 1984), and it was very nice to see these old masters swirling around with their swords or bare-hand, offering me the beautiful yesteryears 1980s fighting scenes that (as I often lament) is lost now in the midst of cables and CGIs of the 21 CE wuxia series. 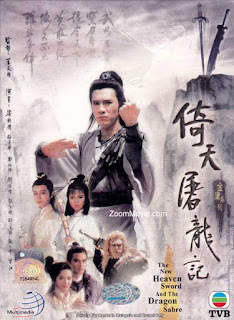 Kenneth Tsang (Wong Yeuk Si/Huang Yaoshi in LOCH 1983) portrayed the Golden Lion Xie Xun in this series. 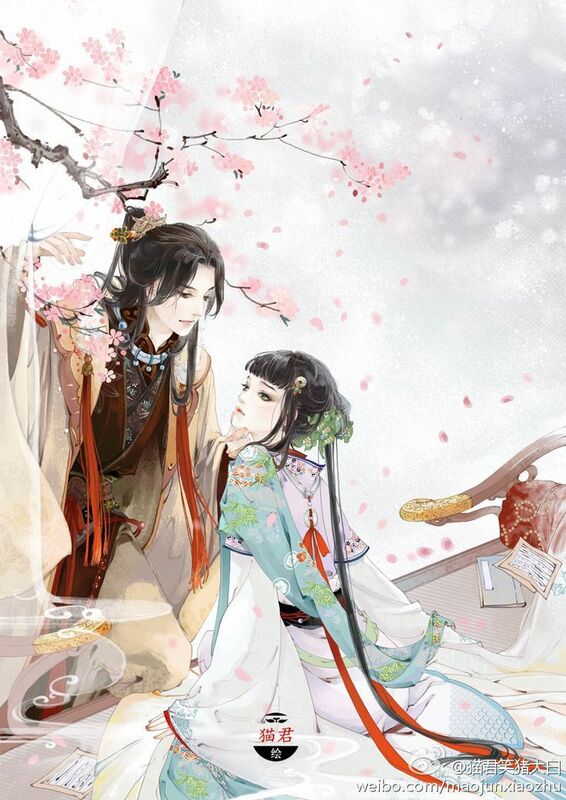 Xie Xun was stranded on the Ice and Fire Island with Zhang Cuisan and Yin Susu, and he eventually became the matchmaker for this couple despite their rocky start. When Wuji was born, Xie Xun became his godfather. Kenneth was an amazing Xie Xun; he portrayed the pitiful but proud blind warrior very well. Kenneth made Xie Xun one of the most memorable characters in this series (other than Kitty Lai's Zhao Min) to me. 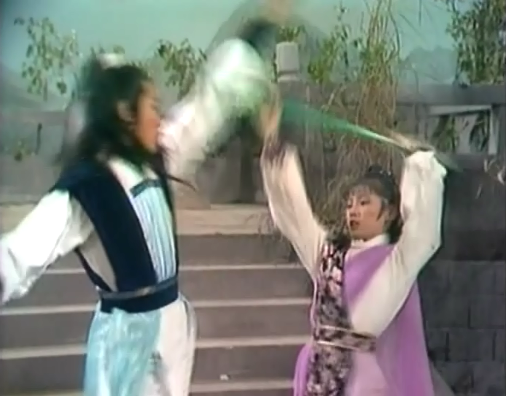 Wong Wan-choi as 1st Wudang Hero and Benz Hui as the Green Bat deserved another mention. Wong Wan-choi was Ouyang Ke in the 1983 LOCH, while Benz Hui had played in all Condor Trilogy as different characters (one of the Freaks, the freaky guy who liked Little Dragon Girl, and now the Green Bat) and also in Chor Lau Heung 1984 as Zo Hing Hau. I like Wong’s Sung Yun-kiu (Song Yuanqiao), he had that aura of a leader and a wise uncle. Benz Hui was amazing because his Green Bat was different from his Zo Taihap, and also different from his Freak character. It’s worth mentioning that Johnnie To Kei-Fung (杜琪峯) directed this series. I didn’t realise this until about a month ago; but Johnnie To also directed Chor Lau Heung 1984, the LOCH 1983 and Flying Fox 1985. Note that he did not direct the 1983 ROCH (a series which I don't resonate with). 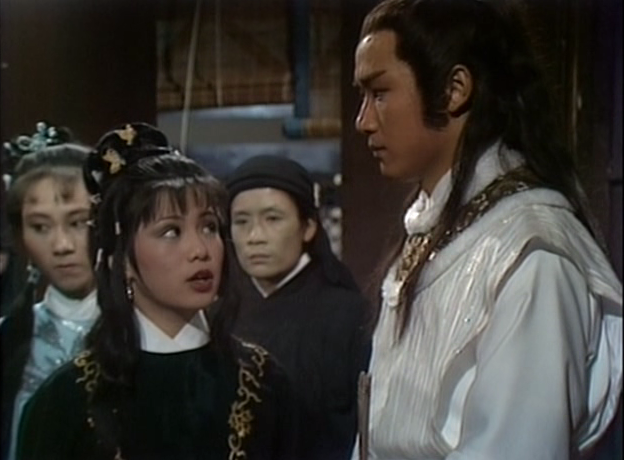 So, is that a coincidence that the four 80s wuxia series I love (CLH 84, LOCH 83, HSDS 86, Flying Fox 1985) were all directed by Johnnie To? Perhaps that man did have some magic wuxia fingers. After all, he was but 27 years old when he directed LOCH 1983, but it became such a classic. And despite being an amalgam of several CLH stories plus a non-canonical theme (SSC was not a canon character in Gu Long’s book, hence the CLH/SSC love story was non-canon), Johnnie To successfully made The New Adventures of Chor Lau Heung 1984 as a classic version of Chor Lau Heung. I’ll resume my summary/brief review of HSDS 1986 in the weeks to come. I particularly want to know the association between the Nine Yin Manual and Nine Yang Manual. Surely they are compatible or complement each other, being Yin and Yang? I wonder why no one ever mentioned the Nine Yang Manual in LOCH and ROCH, or is it just me being ignorant, having never finished the LOCH book and couldn’t even bother reading the ROCH? I hope someone will mention it in this series so I know the difference and origin. Apologies for not properly doing my research last night. Wina pointed out a link to the Jiuyang (Nine Yang) Manual at Wiki, which I could have found had I bothered to look online. So, thank you, Wina, for this! Below is the excerpt from Wiki about the Nine Yang Manual. Zhang Junbao was the non-Taoist name of Master Zhang Sanfeng. 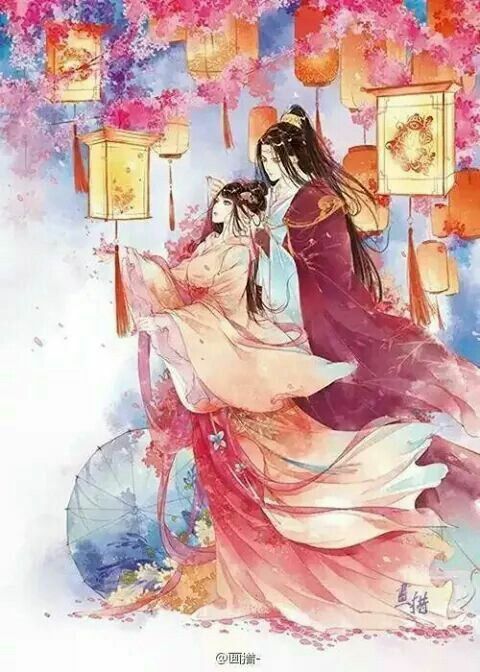 "The manual's existence is not known to the jianghu until it was stolen by Yinkexi and Xiaoxiangzi at the end of The Return of the Condor Heroes. The Shaolin librarian Jueyuan monk and his young apprentice Zhang Junbao pursued the thieves to Mount Hua to retrieve the stolen book. They encountered the new Five Greats (Huang Yaoshi, Yang Guo, Guo Jing, Yideng and Zhou Botong), who were just departing from the summit after paying their respects to the late Hong Qigong and Ouyang Feng. Zhang Junbao defeated Yinkexi and Xiaoxiangzi with Yang Guo's help but had not found the missing book yet. In fact, Yinkexi had already hidden the manual in the abdomen of a white gorilla. 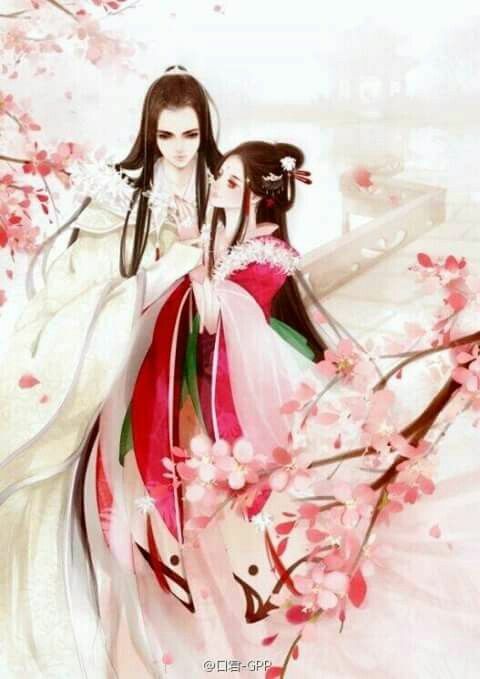 He and Xiaoxiangzi later suspected that each other was intending to keep the manual for himself. 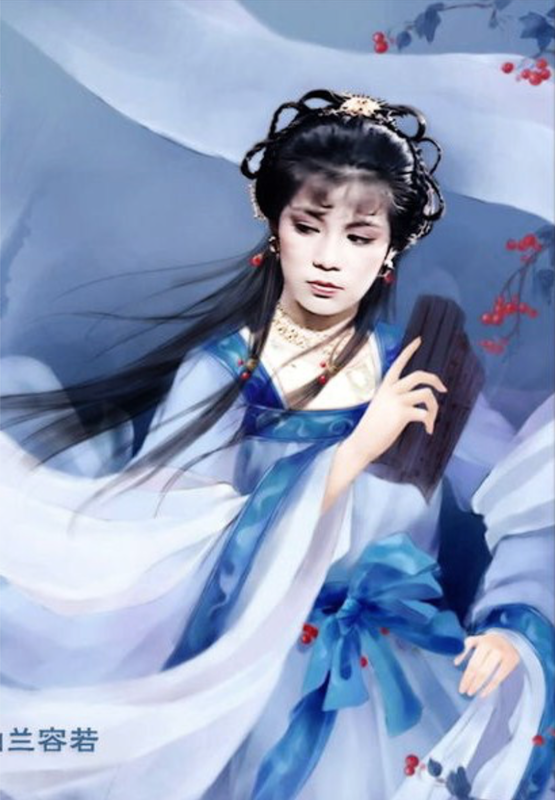 They fought to seize possession of the book and ultimately Yinkexi killed Xiaoxiangzi but he was also fatally wounded and remained in a moribund state. Yinkexi met the Kunlun Sect founder He Zudao and made a dying confession to He, telling him to inform the Shaolin Sect where the manual is. He Zudao misheard "The manual is in the ape" as "The manual is in the oil" and passed on the wrong message to others. The mystery of the whereabouts of the manual baffled martial artists in the jianghu for nearly a century. 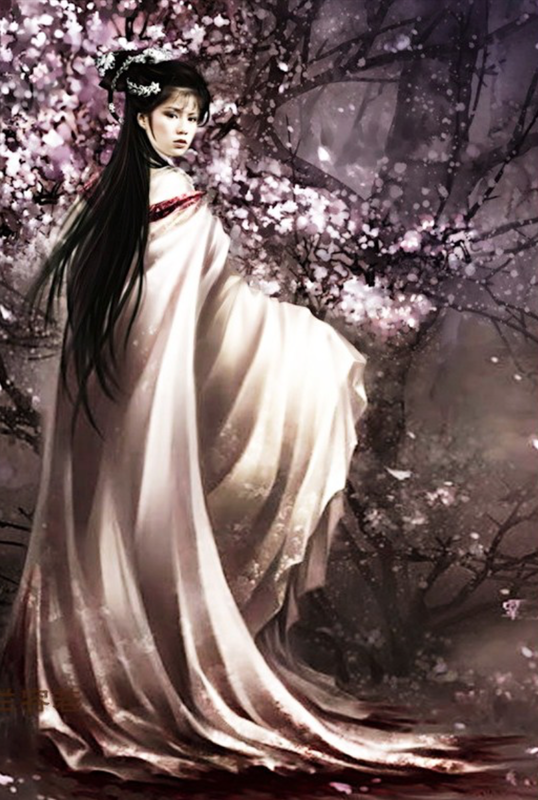 He Zudao also disappeared mysteriously after being defeated by Jueyuan in a fight." Yay...Thanks Icha for the resume my favorite HSDS. The manual is a compilation of numerous scrolls and ancient scriptures pertaining to psychic powers, healing techniques, martial arts classics and Taoist philosophy. It was compiled by Huang Shang (黃裳) on the commission of Emperor Huizong during the Song Dynasty. Huang's compendium became the first volume of the manual. During the writing process, Huang enriched himself with Taoist knowledge and the principles of inner energy and qi. When combined with Huang's intelligence, the knowledge he acquired during the compilation turned him into a formidable martial artist. Soon after, the emperor appointed Huang to lead an army to eradicate the Ming Cult, a sect of Persian origin that had been involved in many anti-government activities. The Song army engaged the cult in a fierce battle but failed to capture the enemy's fortress. Huang fought with the cult's best fighters one-on-one and slew every single one of them until he was forced to retreat due to exhaustion. In retaliation, the Ming Cult dispatched the best of its surviving warriors to kill Huang's family. Huang was enraged and he vowed to destroy the cult. For the next four decades, Huang dedicated himself to experimenting with new techniques to counter those of the Ming Cult's martial arts. As many of the cult's members were affiliated to other sects, Huang had to develop new techniques that were capable of countering the other sects' martial arts as well. Huang succeeded in accomplishing his herculean task but his enemies had died during those four decades. Huang wrote the second volume of the manual, detailing his experiences and the new techniques he had developed and innovated during his 40 years of research. 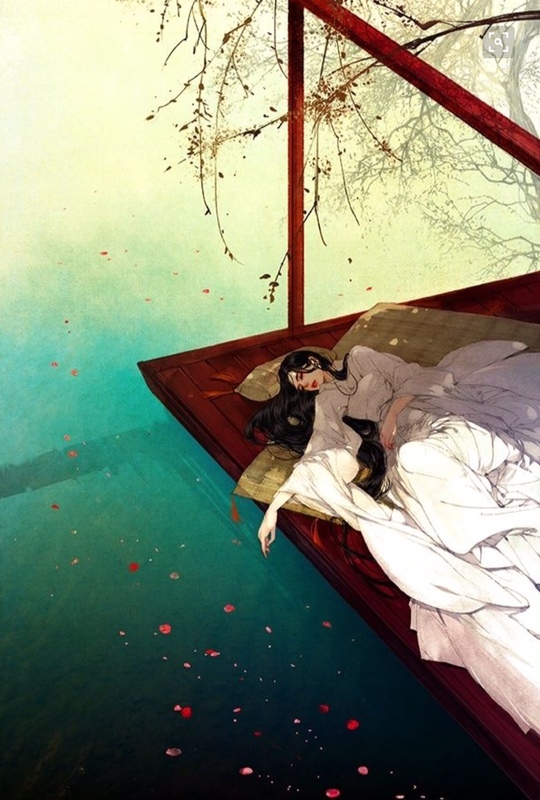 The manual was lost for several years after Huang Shang's death. When it reappeared in the jianghu, it induced bloodshed as martial artists competed fiercely with each other to seize possession of the anthology of martial arts. Numerous lives were lost due to the ensuing chaos caused by the obsession with the book. To prevent further spilling of blood, martial artists decided to stage a martial arts contest on Mount Hua to determine who would be the manual's rightful owner. The Five Greats ("Central Divine" Wang Chongyang, "Eastern Heretic" Huang Yaoshi, "Western Venom" Ouyang Feng, "Northern Beggar" Hong Qigong and "Southern Emperor" Duan Zhixing) gathered on Mount Hua and agreed that the champion of the contest would gain sole possession of the manual. After an intense competition that lasted seven days, Wang Chongyang emerged as overall champion and won the manual for himself. Wang incorporated some of the manual's underlying principles into the martial arts of his Quanzhen Sect, most notably the Big Dipper Formation. 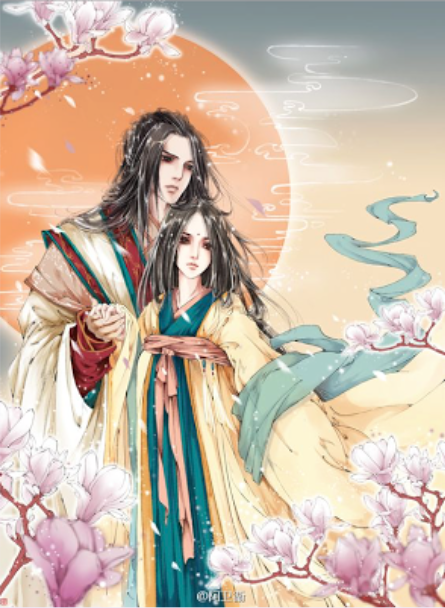 He left a part of the manual that held the key to defeating the skills of the Ancient Tomb Sect in the tomb of his lover and rival Lin Chaoying. 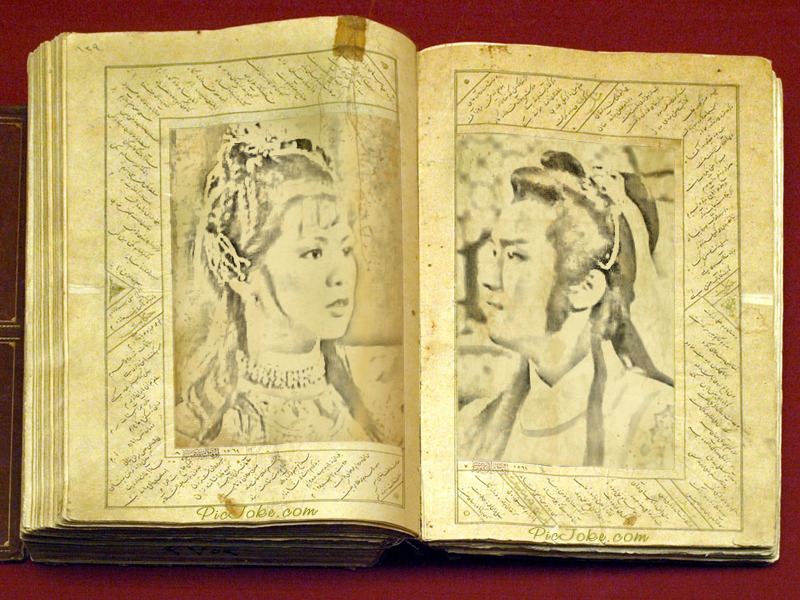 The manual's existence is not known to the jianghu until it was stolen by Yinkexi and Xiaoxiangzi at the end of The Return of the Condor Heroes. The Shaolin librarian Jueyuan monk and his young apprentice Zhang Junbao pursued the thieves to Mount Hua to retrieve the stolen book. They encountered the new Five Greats (Huang Yaoshi, Yang Guo, Guo Jing, Yideng and Zhou Botong), who were just departing from the summit after paying their respects to the late Hong Qigong and Ouyang Feng. Zhang Junbao defeated Yinkexi and Xiaoxiangzi with Yang Guo's help but had not found the missing book yet. In fact, Yinkexi had already hidden the manual in the abdomen of a white gorilla. 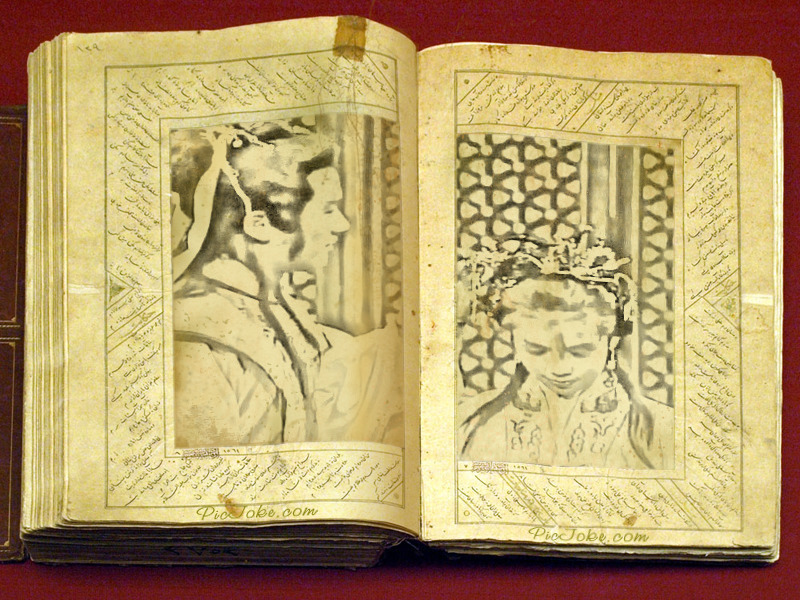 He and Xiaoxiangzi later suspected that each other was intending to keep the manual for himself. 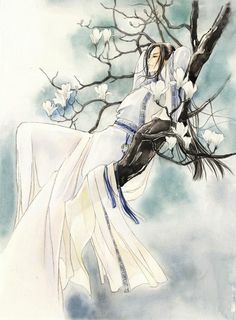 They fought to seize possession of the book and ultimately Yinkexi killed Xiaoxiangzi but he was also fatally wounded and remained in a moribund state. Yinkexi met the Kunlun Sect founder He Zudao and made a dying confession to He, telling him to inform the Shaolin Sect where the manual is. He Zudao misheard "The manual is in the ape" as "The manual is in the oil" and passed on the wrong message to others. The mystery of the whereabouts of the manual baffled martial artists in the jianghu for nearly a century. He Zudao also disappeared mysteriously after being defeated by Jueyuan in a fight. Menurutku HSDS86 ada beberapa crita n dialog yg membingungkan so aku baca bukunya, enggak aku baca semua sih 90% lah, banyak bgt page nya. Jadinya aku lebih ngerti critanya. Produsernya CLH itu Siu Sang n dia jg produser ROCH83 hehehe... jg produser SGSD82. Aku baca article written in Chinese setelah d translate k google, hasilnya susah dimengerti :p, awalnya peran ZWJ utk Felix Wong, wajahnya kan innocent, produser ROCH83 n HSDS86 sama. Akhirnya sih peran ke Tony Leung. Oh iya, semalam aku lompat-lompat baca HSDS krn pengin tau gimana benernya si Yin Li, kan dia di buku ternyata selamat, ga mati. Aku lebih "suka" versi 83 di mana dia meninggal n ga jadi "hantu", kalo di buku Yin Li selamat, terus nakut-nakutin ZZR jadi hantu (sorry, bukan 3Z tapi ZZR, Zhou Zhiruo). So, anyway, pas baca bukunya, kurasa dialog-dialognya bagusan LOCH dibanding HSDS. Lebih detil (walo kadang terlalu detil) dialog LOCH. Yaa Icha, Sutradara LOCH83, CLH84 n HSDS86 ada bbrp, Jhonnie To salah satunya. Di buku memang endingnya Yin Li selamat, tp kok spt gak waras ya...di buku dikatakan Yin Li gak kalah cantik dg ZZT n ZM, d versi 86 kurang cantik tp karakternya pas. Kalo kata Wuji pas ditanya ZM cantik mana dia or ZZR, Wuji spontan jwb ZM. Aku baca pas produser DOMD84 dengar Siu Sang mo bikin HSDS, dia ngusulkan nama Andy Lau, tp aku liat akhirnya produsernya bukan Siu Sang tp produser LOCH n yg d cast Tony Leung.